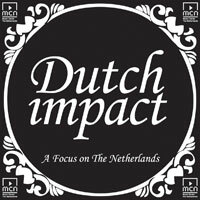 Dutch Impact promotes Dutch bands abroad and organizes showcase parties and events with Dutch artists at all major music conventions worldwide. This year there will be Dutch Impact events at Eurosonic Noorderslag, Midem, ILMC, SXSW, Winter Music Conference, Musexpo, The Great Escape, Reeperbahn Festival, Culture Collide, CMJ, Amsterdam Dance Event, Mama Event and Buma Rotterdam Beats. Dutch Impact is presented and powered by Performing Arts Fund NL and Buma Cultuur, often in collaboration with the Dutch embassy or consulate.